We have all heard the phrase “Little Drops Of Water , Little Grains Of Sand , Make The Mighty Ocean And The Beauteous Land”, What does this phrase mean ? This basically means that Systematic Investments with thoughtful planning and hard work leads to fruitful gain and immense wealth. Don’t We All Want To Be Rich? Shouldn’t We Give Thought To Our Investment Planning?. Don’t we all know the story of the farmer who gained a Kingdom by placing grains of rice on a chessboard. Here the King in jest asked the farmer what do you want which I cannot give…. The farmer asked for 1 grain of rice on the first square of the chessboard, 2 grains on the second square, 4 on the third square and consequently doubling of grains on each square. We all know that the chessboard has 64 squares. The king sent his servant to do the needful .But as the servant started piling on the grains the King found that all the grains in his kingdom were not sufficient to pay off the farmer and he had to forfeit his kingdom. Never Underestimate The Power Of Compounding….You can lookup the website IndianMoney.com in order to study about mutual funds. In case of SIP on a specified date a fixed amount as specified by you is deducted from your bank amount. The amount debited is then invested in a particular mutual fund scheme of your choice at fixed time periods such as the first day of each month. Many AMC and fund houses provide the online option for our SIP investments. Here you are provided with an internet personal identification number, This helps you to track and make your investments online, Here you have the flexibility to invest on a daily, monthly or on a quarterly basis. Here the fund is managed by a professional fund manager and an analyst whose job is to analyse the market conditions, Here he has to analyze the state of the economy and the market conditions and make informed decisions. Here this saves you precious time as everyone is short of time these days and you can concentrate on your chosen career and vocation, This helps you to generate those high returns as a benefit from Systematic Investment Plans. Here you might find it difficult to make that important decision. When Can I Enter The Market? Here you might have noticed that by the time you make that decision to put in your money the market value would have reached soaring levels. It Is Too Late Now…Similarly when you sell your mutual funds you might hesitate and not realize the profits you could have made. I personally made this mistake in the year 2009 in the month of May when the market hit 2 upper circuits in a single day .Even before I realized what had happened the opportunity was lost. Here SIP helps to solve the problem of timing of markets, Since we stay invested we are able to realize vast profits. Here the outgoing amounts may be as less as INR 500/ month and we hardly realize that we are investing in the market. At the end of the year this might translate to an investment of INR 6000.This is highly fruitful for a small time investor who doesn’t have too many funds to invest in the market. Here when the market is down we find the NAV of the mutual fund is greatly reduced. Here we are able to garner a larger number of mutual fund units due to a fall in its NAV. Similarly when the market value is high the NAV of the mutual fund rises and we are able to procure lesser number of such mutual fund units. During periods of downturn in the market we are able to get a greater number of mutual funds and when the markets are at higher levels lesser number of mutual fund units are obtained .Here when market values are low it is the best time to purchase mutual funds through SIP. The answer for this one is simple there is no good time .Always stay invested. We have seen various time periods in the market. The dot.com crash of 2000 when all the IT Stocks crashed ,The sticky bear markets of the year 2001-2003 ,The driving forces that propelled the markets from the year 2003-2007. In the year 2007 the market gave us stupendous returns. We then had the USA Subprime crisis in the year 2008 where all stocks crashed to record lows. This continued till mid Year 2009 .The markets again took off and we had periods of great returns till the year 2012.In the mid year 2012 we noticed a period of great stagnation. Telecom and Power stocks were badly battered. The markets again took off with sweeping reforms made in the Insurance and retail sectors. By the end of 2012 till the first quarter of 2013 the markets hovered around the 19000 Levels. So Can You Please Tell Me When Can I Enter The Market? Here we see that there is no proper way to time the market and it is best to stay invested in the market through SIP. Here I would like to explain the disadvantages of an SIP by using a simple example .Here let us consider Mr Uday and Mr Rajesh, Here Mr Uday made a bulk investment of INR 50000 in the month of December 2008.The Sensex was around 9000 at that point of time. A year later the Sensex was around 17000. Imagine the returns Mr Uday would have made in one year.. Here Mr Rajesh invests a sum of INR 5000 per month from December 2008 , After May 2009 the Sensex had moved rapidly to 12000 to 15000 Levels where about INR 25000 of Mr Rajesh investments were made. He would have purchased lesser no of mutual fund units owing to Higher NAV, Here Mr Uday would have made handsome returns when compared to Mr Rajesh even though Mr Rajesh invests in SIP. Here luck also plays an important factor. Here you would have to decide in advance on which dates you would like to start your SIP. Most of the mutual funds have limited dates to invest in the SIP. They could be 5th, 10th or 15th of the month. Here you would like to lessen your risks by investing a number of SIP’s on different dates of the month, Here you might not get the dates you would like to invest your SIP on. We know that in stock markets every day proves crucial; hence it is essential to invest in SIP’s on the day we want to invest. Another important factor we need to notice is that SIP is a fixed amount of deduction; here we feel that the market is undervalued. We want to invest more. When the market is overvalued we want to invest less. This might not be possible. Here SIP’s were charged an entry load of 1 %. Here AMC used to bear the bulk of costs of the Distribution charges. Owing to the popularity of these SIP the entry load was raised to 2.25%.as AMC could no longer cover the brokerage costs .Here there are stiff penalties for terminating the plan early or missing a payment. The initial set up charges are also very high. 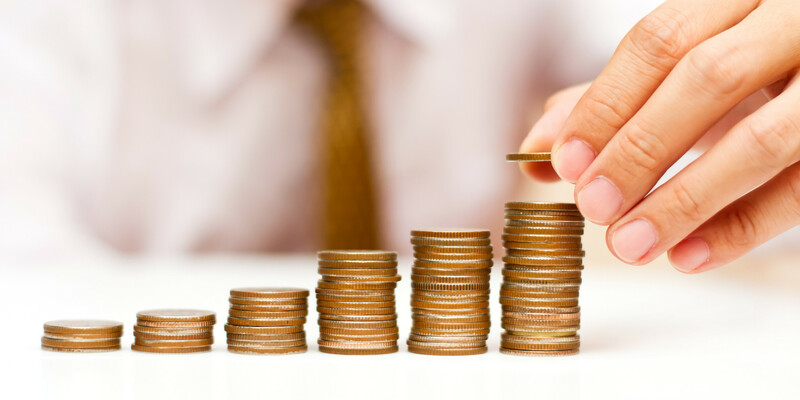 At present equity funds can charge a maximum of 2.5% as Total Expense Ratio. Here we also have trail commission, advertisement and sales charges and distribution charges. Before investing in an SIP be sure of what you want. Here I would like to end this article with the famous saying “ He Who Must Catch Pearls Must Dive Below” Here everything takes effort and without pains nothing is obtained. So plan your SIP and do not forget to pay them on time. 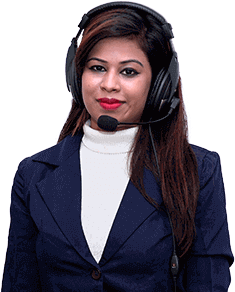 .Here I would like to remind you that the team of Financial Planners at IndianMoney.com is always ready to plan your Mutual Fund needs in an efficient manner, You can explore this unique free advisory service by giving a missed call at 02261816111.